We're the University of Brighton Ultimate Frisbee team. A keen group of players working hard to promote a rather new and underrepresented sport and compete at high level tournaments around the country. As a team of 30 members, we have designed our own kit which members buy and wear for the 3+ years they play with our team. This does come at a cost however, and a full kit of two tops and one pair of shorts costs each member £60. This means some members don't have any kit and others only have bits, as it is currently not subsidised or affordable for students. As a team we've had some great success over the last few years. 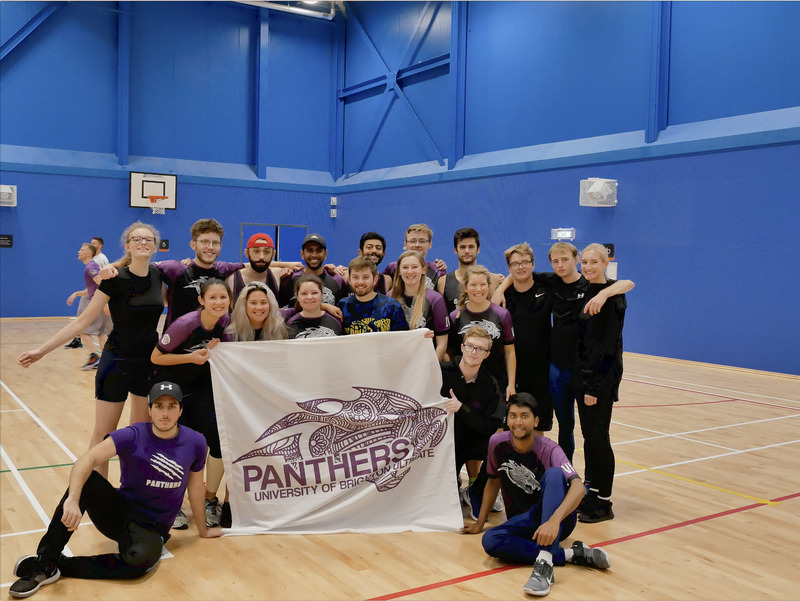 We've reached national level competitions 4 years in a row and just last week qualified for our first nationals of the 2018/19 season with mixed indoor nationals! For a lot of these tournaments however we have to lend kit around as not all our members have been able to afford it. We feel its really important for everyone representing the club to be wearing it at tournaments, so we're happy to share however its a real boost to your confidence on and off the pitch when you get your own kit with your own unique number. We're hoping to use the funds raised to ensure every player can afford to buy kit this year - an investment that will last them their whole playing career. This year in particular we feel it is important to be able to reduce the overall cost of kit, as we are focusing on the recruitment and development of new players. Having kit be more affordable can really help make newer player feel as part of the club and can really contribute to the retention of these players. If we hit the full target we will be able to switch to a higher quality supplier that makes more durable and longer lasting kit. If we overachieve on our target then the extra funds will go towards subsidising tournament fees, which can be over £150 per person over a season. We'll be posting updates on all our social media of what tournaments we are at so you can follow our team and feel their enthusiasm for their sport. We sell our kit at cost price, no additional profits are made by the club because the cost price is high to begin with. We have some tempting rewards for you to enjoy, check them out over the right hand side! We post regular updates of what tournaments we're at and how we're doing so you can see what we're up to over the season! And we know we said that money isn’t all we need, but we’d love it if you could donate. Please support us and help make this project happen.